LG Stylus 2 Plus with 5.7-inch Full HD display and fingerprint sensor announced. The LG Stylus 2 Plus, the latest edition of its large-format Stylus series, begins its global rollout with its launch today in Taiwan. 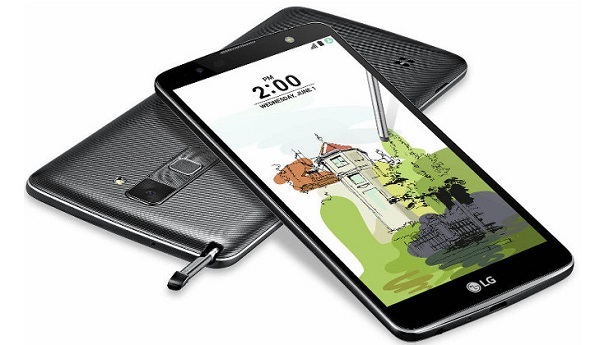 The LG Stylus 2 Plus will make its way to customers in other key markets in Asia, South America, Europe and North America in the weeks to come. While the design remains consistent with the original LG Stylus 2, the smartphone features significantly better performance than its original cousin. Other improvements include more RAM and the choice of colors: Titan, Gold and Brown. At its heart is a faster 1.4GHz Octa-Core processor, a sharper 5.7-inch Full HD IPS display and higher resolution 16MP rear camera, with a flash on both sides for clearer photos and videos in low light. The Stylus 2 Plus carries over the nano-coated stylus which provides the tactile feedback of a quality fountain pen when writing on the screen. Using the stylus is made even more useful with UX features such as Quick Memo and Off Memo and Pen Keeper, which displays a warning when the stylus strays too far from the phone, or vice versa.